Injury Lawyers offering free Advice and home visits. Always available. Recommended in the Good Lawyer Guide. Injury Lawyers offering free and free home visits. Always available and recommended in the Good Lawyer Guide. Lance Mason have combined the latest technology with a personal touch to re-invent the traditional approach of dealing with personal injury claims. They strive for excellence in everything they do and offer guidance and support to those that need it most. Driive provide replacement vehicles within 6 hours of your accident, including rental vehicles for taxi drivers. 24hr accident/breakdown recovery. No excess. Repairs carried out by approved body repairers. Recovery of all uninsured losses. They also deal with all aspects of personal injury. Offering a wide range of legal services across Northern Ireland for both businesses and individuals, Daniel Johnston Solicitors understand the importance of value for money. They promise a client driven and commercially aware service. Contact them for a free initial consultation. 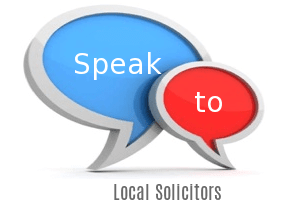 They handle: Uninsured/Untraced Driver, Unfair/Constructive Dismissal, Licensing Law, Legal Aid, Landlord/Tenant Dispute, Holiday Sickness, Flight Delays, Employment Dispute, Discrimination and Harassment, Disciplinary Defence, Debt / Bankruptcy, Business/Commercial Law. Pilgrim Hope Solicitors combine a modern approach with traditional values to provide their clients with the best possible service. Highly experienced in dealing with a range of injury claims from minor car accidents to serious brain injuries, they leave no stone unturned. Plenty of free on-street parking outside their office, but home visits are available.